Lambert Orkis is a pianist for all seasons. No — make that a keyboardist for all seasons. He tackles William Penn's Fantasy for Solo Harpsichord with a virtuoso ferocity that threatens to reconfigure Franz Liszt's mountainous reputation in the image of a molehill even as it leaves Conlon Nancarrow's celebrated player pianos panting, and begging for oil. But we're getting ahead of ourselves. Certainly Penn's Fantasy provides a fine platform for Mr. Orkis's astonishing command of the formerly-delicate harpsichord. But it's Mr. Orkis's equally astonishing pianistic feats, under the wing of his long-time collaborators, The 20th Century Consort, the Smithsonian’s Resident Ensemble directed by Christopher Kendall, that provide this compact disc's focal point: on George Crumb's Celestial Mechanics (a notoriously playful piece for four hands on which Mr. Orkis is joined by James Primosch), and Maurice Wright's finely-textured Chamber Symphony for Piano and Electronic Sounds, as well as Dexter Morrill's profoundly surreal Fantasy Quintet for Piano and Computer. Needless to say, the works recorded here are as far a cry from the material Mr. Orkis plays on his regular gig with the National Symphony Orchestra as they are from the stuff he and cello giant Mstislav Rostropovich covered during their ten years of touring together. Innova is honored to have him kick off this first of series of three discs featuring highlights of the Consort’s Smithsonian seasons. Frantic, percussive, intensely intellectual piano pieces that are well above and beyond the humble critical faculties of this reviewer. 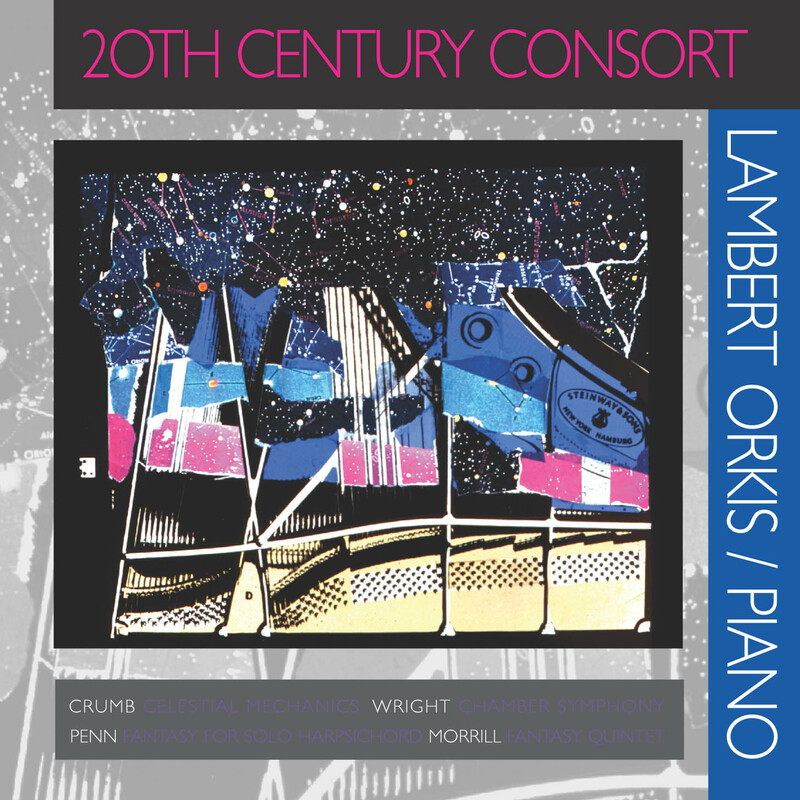 Pianist and collaborator [Lambert] Orkis puts on a virtuoso display. Dark and angular with occasionally violent eruptions. Mr. Orkis is an extraordianry pianist and a longtime champion of new music. Lambert pulls off some extremely dazzling and furiously paced playing here. Another fine disc from the great folk at Innova.